What can be said about Tavanero Search Virus? Tavanero Search Virus (also known as tavanero.info browser hijacker or tavanero.info redirect) is a scheming browser hijacker. The suspicious application works in a similar way as searchboro.com, ttczmd.com, and chromestart4. All of the previously mentioned browser hijackers and Tavanero Search Virus try their best in order to advertise the sponsored content. Tavanero Search Virus developers have created a fictitious search engine that leads to many annoying internet pages. We do not recommend you to use the search provider because by clicking such links you may easily end up exploring the very dark side of the World Wide Web. The best way to avoid such issues is to delete Tavanero Search Virus once and for all. For more information about Tavanero Search Virus removal you should check the very end of this article. Please make sure to follow the instructions carefully. Tavanero Search Virus will use every opportunity to stay in your computer’s system. Why Tavanero Search Virus removal is necessary for your computer’s safety? Tavanero Search Virus does not check whether the promoted internet pages are trustworthy. Hence, you may end up visiting websites with really sketchy privacy policies. Tavanero Search Virus itself does not collect personally identifiable information. But who knows if the other websites do not gather such data as well. Also, Tavanero Search Virus will be interested in learning about your web surfing habits. The infection will try its best in order to find out your web surfing habits. Once Tavanero Search Virus learns which websites you usually click and search queries enter, your computer may be flooded with advertisements. You should not click any of the promoted ads as they may lead to suspicious internet pages. 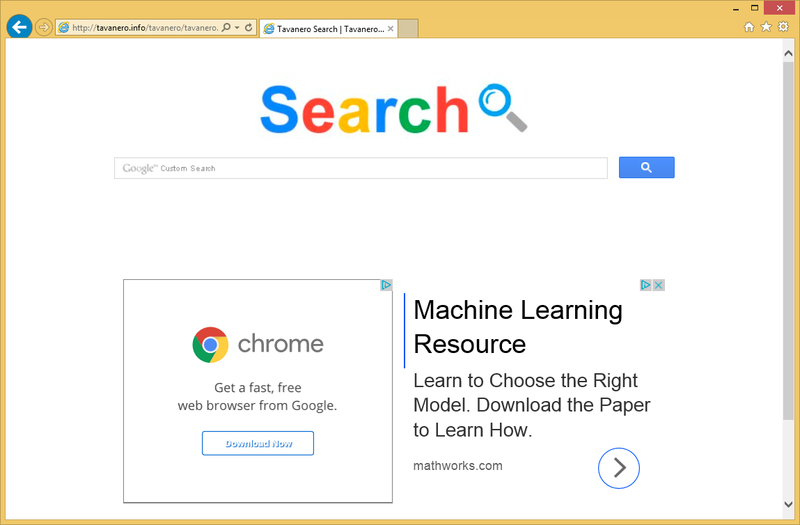 The amount of ads that Tavanero Search Virus promotes is ridiculous. There will be so many commercial advertisements that they could even slow down your computer’s system. Therefore, you should not wait any longer and delete the Tavanero Search Virus infection immediately. How did Tavanero Search Virus find my virtual device in the first place? Most probably Tavanero Search Virus has entered your data machine with the help of software bundles. Browser hijackers usually use freeware in order to reach the users’ data machines. They do that because the computer users usually do not pay much attention to the installation wizard. Hence, such unwanted applications as Tavanero Search Virus may hide their additional installation files in the setup. For this very reason we recommend you to follow the installation process carefully. In addition to that, try to always choose the “Advanced” or “Custom” options in order to make sure that there aren’t any hidden applications trying to sneak into your electronic device. If the browser hijacker has already altered your data machine, Tavanero Search Virus removal has to be performed ASAP. How to uninstall Tavanero Search Virus from my PC? The best method to delete Tavanero Search Virus from your computer once and for all is to remove the browser hijacker automatically. You will only need to implement a sophisticated malware removal tool that will erase all the threats automatically.